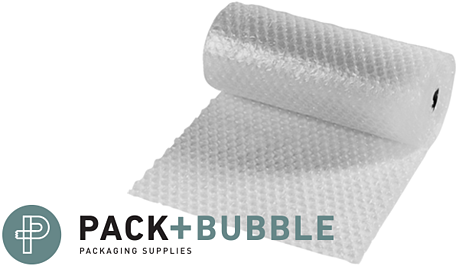 PACK+ BUBBLE is available in three grades to fit a variety of product protection needs, from simply filling void to providing durable impact absorption. VOID – Small (3/16”) and Large (1/2”) are well fitted for use as a low-cost void fill in packaging applications. GUARD – All sizes (3/16”, 5/16”, 1/2”) are great for protecting fragile, sensitive, delicate and valuable products. Anti-Static available. GUARD PRO – Large (1/2”) for heavy and highly valuable products. Our strongest bubble grade.